MIHTool is free! If you love MIHTool and like to help me to make it better, I'll appreciate you could install the Pro one! Both are the same! 1.Action Extension for Safari, brings remote Web Inspector to debug your webpages in Safari. 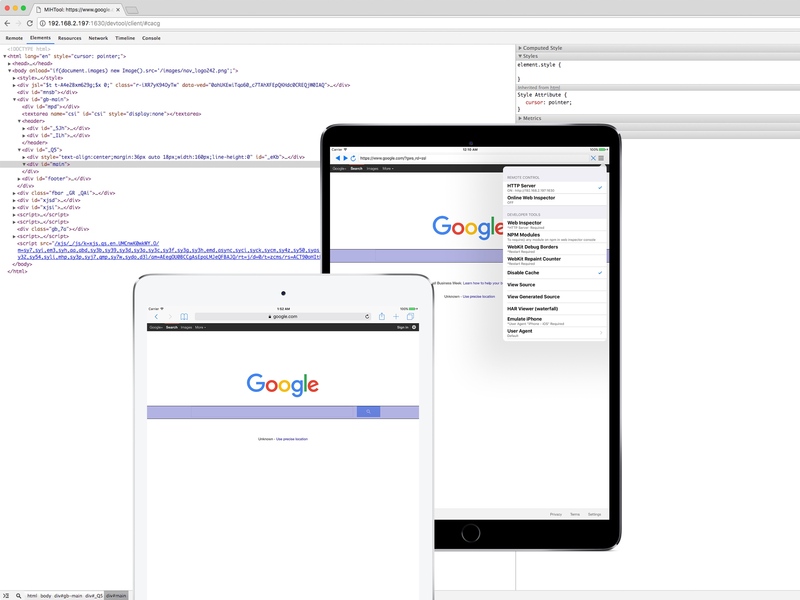 A Inline Web Inspector that is a real Chrome like DevTool for iOS Safari. MIHToo Action Extension for Safari is the first App that brings a real Chrome like Inline DevTool for iOS Safari. Now, you can inspector your web pages in iOS Safari and Safari View Controller right on your iPad and iPhone without a desktop computer. 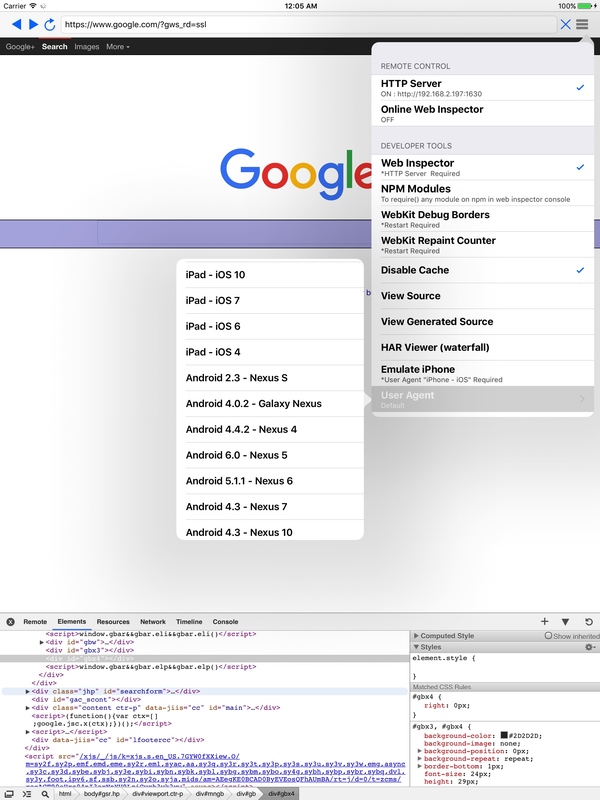 You can also remote Web Inspector to debug your webpages in Safari and Safari View Controller. To open MIHToo Action Extension, just click the Share Button of Safari and select MIHTool, for the first time, you might have to enable it in the more list. Just like Chrome DevTools, it has Elements,Resources,Network,Timeline and Console panel. And it totaly optimized for touch screen. You can maximize and minimize. Note: If you can't see any logs in Network or Timeline panel, be sure the record circle switcher is RED. Web inspector is based on weinre,bug reports please check weinre google group. MIHTool's weinre server is might not cover your location, which is mean you might have network issue with Web Inspector in Action Extension. But if you open your web page in MIHTool, and switch to another weinre server for the one in App, you can do this with MIHTool Remote control(With HTTP Server). Web pages that enable Content Security Policy will break Web Inspector. 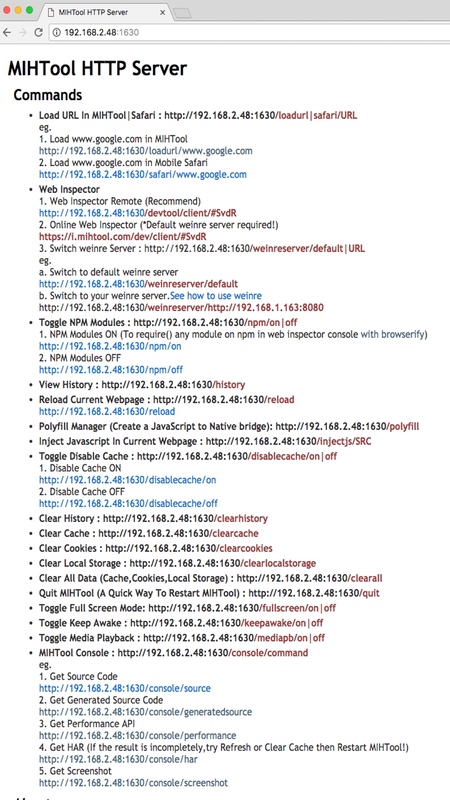 2.Inline Web inspector(like Chrome DevTool or FireBug):With Elements,Resources,Network,Timeline,Console panel. Inline Web inspector is an iPad only feature.Which makes you possible to inspector your webpages right on your iPad without a desktop computer. Just like Chrome DevTools,it has Elements,Resources,Network,Timeline and Console panel.And it totaly optimized for touch screen. You can maximize,minimize,zoom-in and zoom-out. Note: If you can't see any logs in Network or Timeline panel,be sure the record circle switcher is RED. Please check this video to see how it works. MIHTool's weinre server is might not cover your location, which is mean you might have network issue with Web Inspector. But this can be solve by switch to another weinre server, you can do this with MIHTool Remote control(With HTTP Server). 3.Web inspector remote(weinre):remote to debug and optimize your mobile webpages on your computer(window,mac,linux with chrome). Web inspector remote makes you possible to inspector your webpages with any remote computer(window,mac,linux,or another iPad) in the same local network. Just like Chrome DevTools,it has Elements,Resources,Network,Timeline and Console panel. 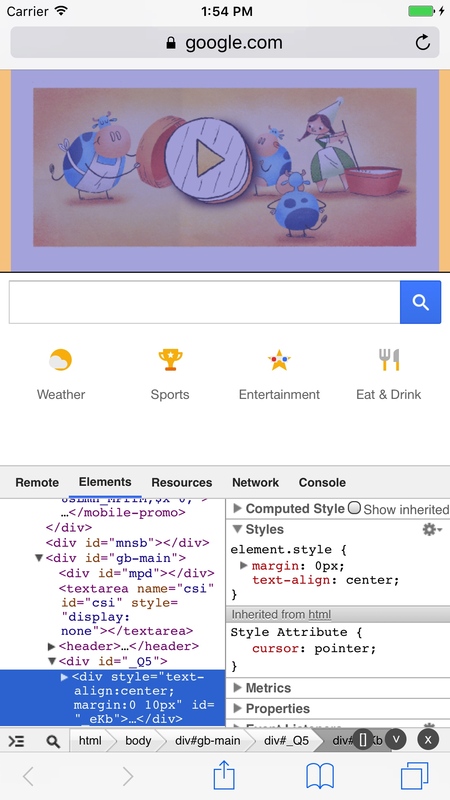 Online web inspector just works as web inspector remote.But is allows you to inspector your webpages with any online remote computer even they are not in the same local network. Some time your devices are in the local network but may not be accessed by each other,so web inspector remote won't work for you,but if your devices can access external network,online web inspector will work just fine. 5.HTML editor:view webpage source code with syntax highlighting and formatting;editing source code or creare a new webpage and preview the result. 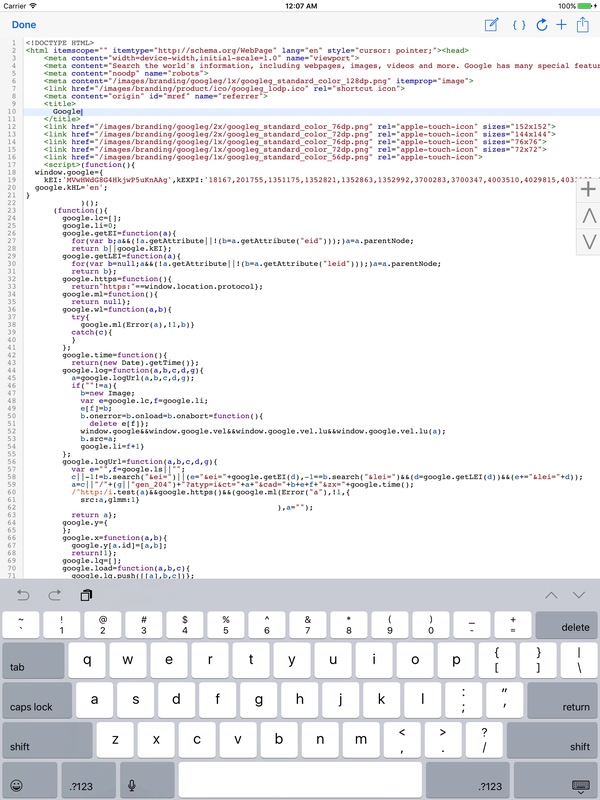 HTML editor is an iPad only feature.Which makes you possible to view and edit any webpages source code with syntax highlighting right on your iPad. Sure you can create a new webpage with HTML editor and view the result,you also can format source codes or just share them with your friends. It totaly optimized for touch screen.And you can remote control to export current webpage's source code. Turn ON MIHTool's HTTP Server you will get a HTTP link like http://192.168.1.101:1630,this link allows you to be able to remote control MIHTool from any remote computer(window,mac,linux,or another iPad) in the same local network. Open the HTTP link from a remote computer,you will see many commands are available for you. All remote commands are REST like so you can write some auto-run scripts to automatically test your wepages.This is very conveniently for you to control multi devices form a single computer at the same time. 7.Show WebKit Debug Borders(Compositing Render Layers). Show WebKit Debug Borders(Compositing Render Layers) and Show Webkit Repaint Counter(Paint Rects) is a way for you to optimize your web apps and make them 60FPS performance. 8.Show Webkit Repaint Counter(Paint Rects). Emulate iPhone is an iPad only feature.Which makes you possible to see how your webpages look like on iPhone without an iPhone. User agent switcher is an iPad only feature.Which makes you possible to switch other platform's broswer user agent,such as android,pc,and mac. 13.Full screen mode(Shake Device To Toggle Full Screen Mode). 15.Clear history,clear cache,clear cookies, clear local storage. 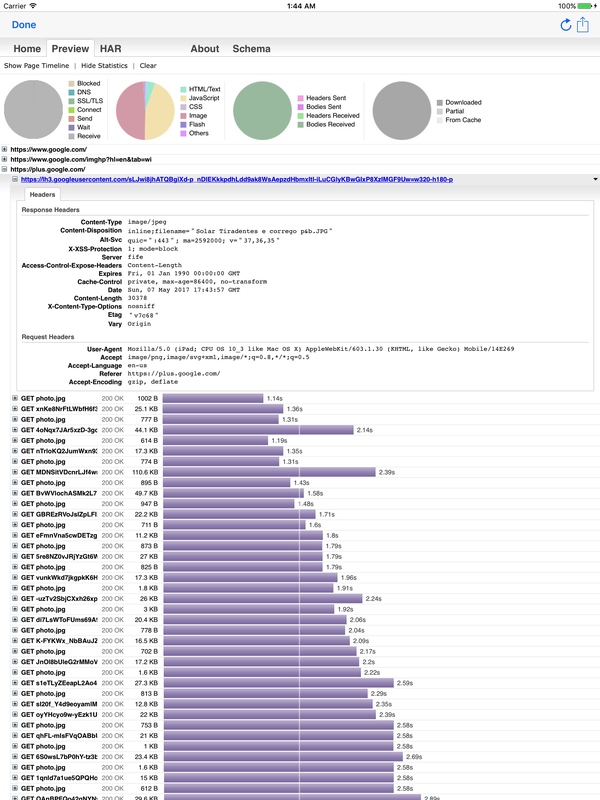 With HAR Viewer you can see your all of webpages network traffic waterfall, you'll never miss any request's log, it's better then the network panel within the Web Inspector. You can use HAR Viewer in the iPad version, the remote HAR Viewer is available for both iPad and iPhone. The Performance interface represents timing related performance information for the given page. You might build webpages for hybird apps,and your webpages need to communicate to the native app.You can use Polyfill Manager to simulate native app's APIs,so you can debug you webpages before the native app finished,even the native app has not been installed on your device. Browsers don't have the require method defined, but Node.js does. With Browserify you can write code that uses require in the same way that you would use it in Node. This feature makes MIHTool more powerful and easier for you to debug and optimize your webpages. Note: The feature functionality of iPhone version are the same as the iPad version, see also the iPad version for the details. 1.Action Extension for Safari, brings remote Web Inspector to debug your webpages in Safari. 2.Web inspector remote(weinre):remote to debug and optimize your mobile webpages on your computer(window,mac,linux with chrome). 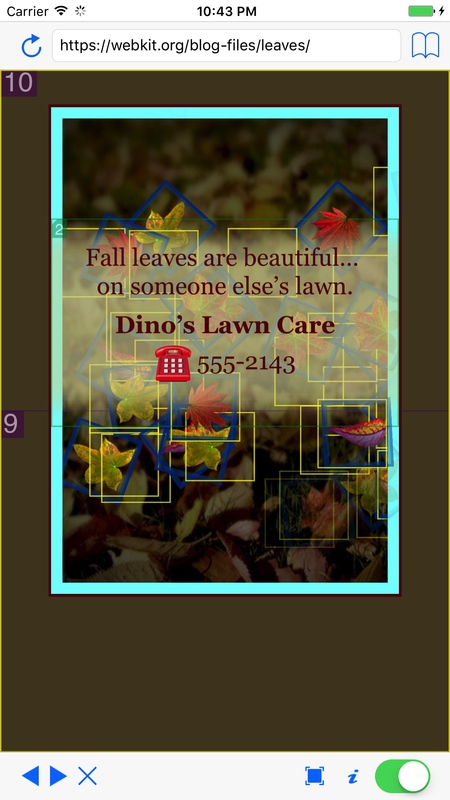 5.Show WebKit Debug Borders(Compositing Render Layers). 6.Show Webkit Repaint Counter(Paint Rects). 8.Disable cache *when the switch button is ON*. 9.Full screen mode(Shake Device To Toggle Full Screen Mode). 1.iOS Safari 扩展, 支持在线远程打开 Web Inspector 调试 Safari 里打开的页面，支持在Safari 里打开类似于 Chrome DevTool 的内嵌 Web inspector 直接调试 Safari 里打开的页面. 有了 MIHTool 的 iOS Safari 扩展, 你可以在线远程调试 Safari 和 Safari View Controller（App 里调 Safari 组件）打开的页面了. 并且 MIHTool 的 iOS Safari 扩展是首个将类 Chrome 的 DevTool 带到 Safari 里的 App, 你可以随时随地用扩展的内嵌 Web inspector 仅用 iPad 或 iPhone 就能直接调试 Safari 里打开的页面了. 与 Chrome DevTools 类似,有 Elements, Resources, Network, Timeline, Console 面板.并且针对触屏进行了优化，可以进行最大化，最小化。 注意: 如果你的Network 或者 Timeline 面板无数据，需要将圆形的录制开关打开成 红色. 配置了 Content Security Policy 将无法使用 Web Inspector. 2.内嵌 Web inspector(类似于 Chrome DevTool 或 FireBug):有 Elements,Resources,Network,Timeline,Console 面板. 注意: 如果你的Network 或者 Timeline 面板无数据，需要将圆形的录制开关打开成 红色. 与 Chrome DevTools类似,有 Elements,Resources,Network,Timeline,Console 面板. 通过 HAR Viewer 查看页面HTTP请求的日志。弥补了 Web Inspector 的不足. iPad 版自带了 HAR Viewer，而 iPhone 和 iPad 都支持远程版本的 HAR Viewer. 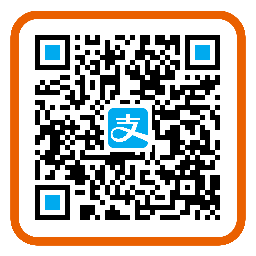 注: iPhone 版有的功能 iPad 版都有，请参看 iPad 版的详细描述. 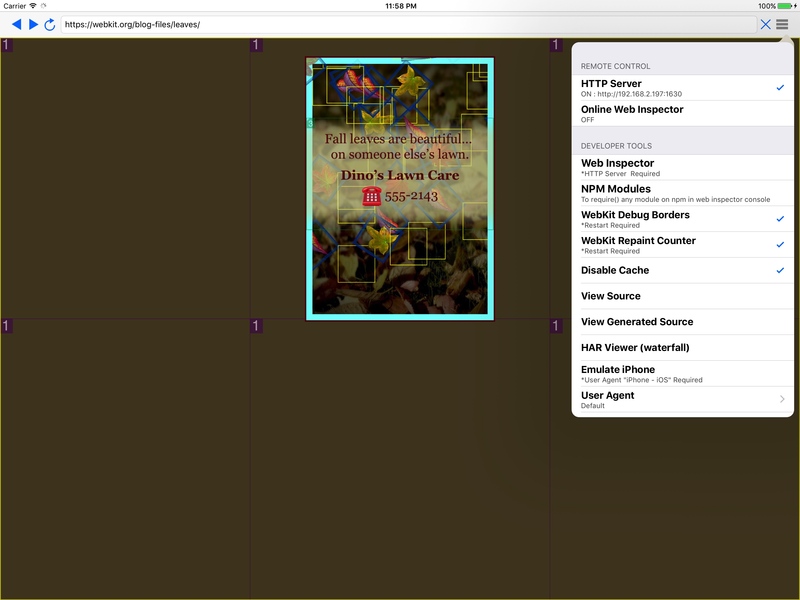 1.iOS Safari 扩展, 支持在线远程打开 Web Inspector 调试 Safari 里打开或其他 App 里打开的页面. 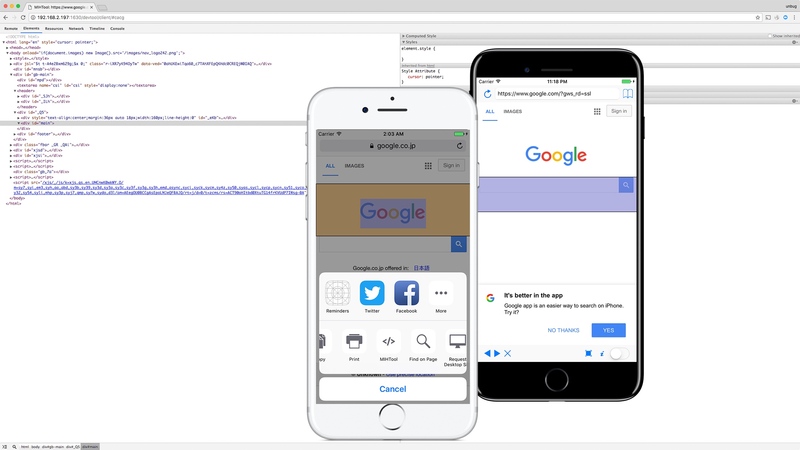 MIHTool is a brilliant tool that helps you debug websites on iOS. -- @pbakaus (Google). MIHTool will change your life: A complete inline Web Inspector on iOS with performance profiling. -- @addyosmani (Google). MIHTool: a smart & powerful debug tool for iOS WebView. --‏ @paul_irish (Google). MIHTool: a good tool for debugging websites on iPad and iPhone. -- ‏@smashingmag (Smashing Magazine). 1. 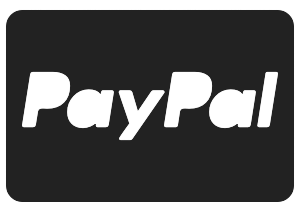 *Fix, Address bar update when user input. MIHTool is now 5 years old! 1. +Add, Romote view HTTP trafic. 2. *Fix, Input lose focus. 1. +Add, New toolbars for Inline Web Inspector. 2. ! *Fix, Switch weinre not working. 1. !+Add, Inline Web Inspector for Safari, a Chrome like DevTool (Includes Elements,Resources,Network,Console panel.) for iOS Safari. 1. 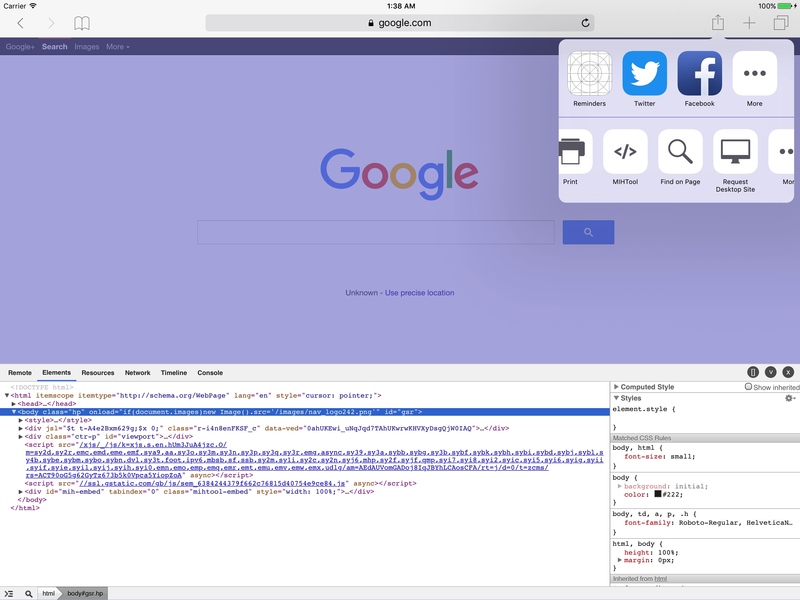 !+Add, Action Extension for Safari, brings remote Web Inspector to debug your web pages in iOS Safari. 2. !+Add, Inline Web Inspector for Safari, a Chrome like DevTool (Includes Elements,Resources,Network,Timeline,Console panel.) for iOS Safari. 4. *Fix, 127.0.0.1 host data in HAR. 2. *Fix, 127.0.0.1 host data in HAR. 2. !+Add, New inspector UI. 3. !+Add, More than 45+ UserAgents. 4. !+Add, Emulate iPhone 7 sizes. 5. ! *Fix, Source viewer, HAR viewer not working on iOS 9+. 8. !-Remove, No long support iOS 7. 3. 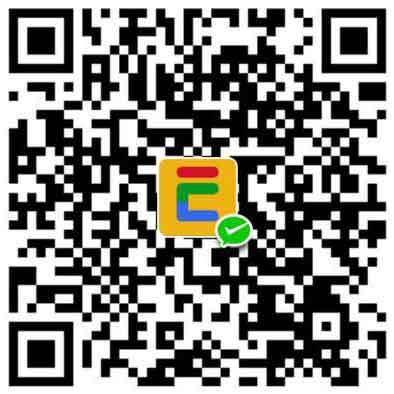 !+Add, iPhone 6 later device supports. 4. ! *Fix, About, History not working on iOS 9+. 6. !-Remove, No long support iOS 7. 1.!+Add,NPM Modules (To require() any module on npm in web inspector console with browserify). 2.!+Add,Remote control to toggle NPM Modules. 1.!+Add,Remote control to toggle NPM Modules. (To require() any module on npm in web inspector console with browserify). 1.! *Fix,HAR Viewer cause crash on 64-bit device. 2.! *Fix,Remote control to get HAR from MIHTool Console cause crash on 64-bit device. 1.! *Fix,Remote control to get HAR from MIHTool Console cause crash on 64-bit device. 3. *Fix,PageSpeed bookmarklet not works issue. 1. *Fix,Remote control to load url decode issue. 2.! *Fix,Portrait and landscape switch issue. 2.! *Fix,Can not remote control to load HTTPS URL in Chrome. 1.!+Add,Remote control to switch weinre server. 2.+Add,Remote control to get screenshots. 6.! *Fix,Web inspector not working in the latest Chrome Canary. 5.! *Fix,Web inspector not working in the latest Chrome Canary. 1.!+Add,Remote control to view history. 2.+Add,Remote control to clear history. 3.+Add,Remote control to get source code from MIHTool Console. 4.+Add,Remote control to get generated source Code from MIHTool Console. 5. *Fix,Performance API not work in some cases. 6. *Fix,Apple-Specific Event Meta Tag issue. 2.!+Add,Remote control to view history. 3.+Add,Remote control to clear history. 4.+Add,Remote control to get source code from MIHTool Console. 5.+Add,Remote control to get generated source Code from MIHTool Console. 6.+Add,New about page with more options. 7. *Fix,Performance API not work in some cases. 8. *Fix,Apple-Specific Event Meta Tag issue. 2.+Add,Toggle zoom inline web inspector option. 5.! *Fix,Inline web inspector can not refresh issue. 1.+Add,Keep awake default is ON. 3. *Fix,Web inspector not show up in some case. 4.+Add,Read/modify external stylesheets/scripts for Web inspector(include Web inspector remote) and Firebug. 5.+Add,Clear application cache when clear cache. 6.+Add,Remote control to quit MIHTool. 7.+Add,Remote control to toggle Media Playback. 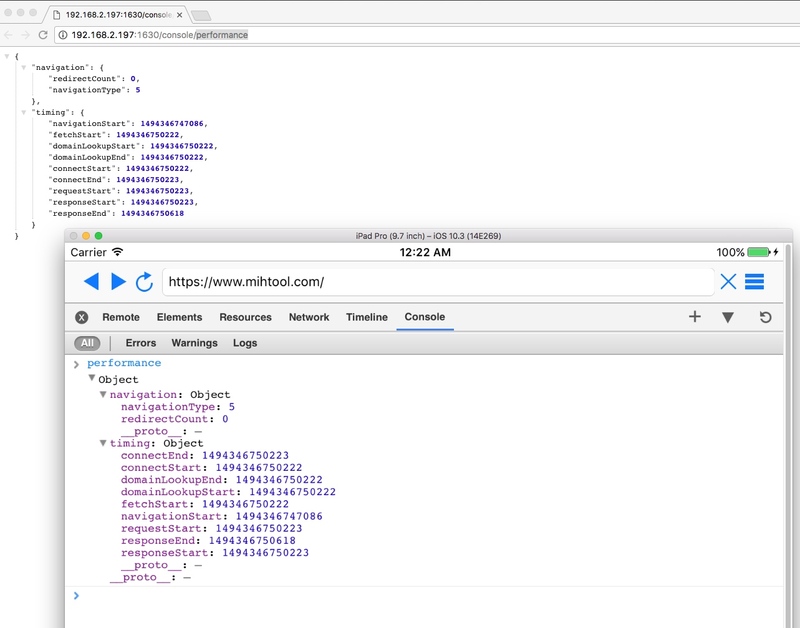 8.+Add,Remote control to view performance API from MIHTool Console. 9.+Add,Remote control to get HAR from MIHTool Console. 11.+Add,Decent new App Icon (By @Rude). 12. *Fix,Some of Chrome plugins cause web inspector “Failed to load resource ‘Popover.js’” issue. 13. *Fix,Web inspector toolbar blocked by console view when open console view in other panel and minimize web inspector. 14. *Fix,Shortcut buttons of HTML editor lost focus issue. 3.+Add,Read/modify external stylesheets/scripts for Web inspector remote. 4.+Add,Clear application cache when clear cache. 5.+Add,Remote control to quit MIHTool. 6.+Add,Remote control to toggle Media Playback. 7.+Add,Remote control to view performance API from MIHTool Console. 8.+Add,Remote control to get HAR from MIHTool Console. 9.+Add,Decent new App Icon (By @Rude). 10. *Fix,Some of Chrome plugins cause web inspector “Failed to load resource ‘Popover.js’” issue. 1.!+Add,Inline Web inspector(like Chrome DevTool or FireBug):With Elements,Resources,Network,Timeline,Console panel. 2.!+Add,Web inspector remote(weinre):remote to debug and optimize your mobile webpages on your computer(window,mac,linux with chrome). 3.+Add,Remote control to reload current webpage. 4.+Add,Remote control to toggle disable cache. 5.+Add,Remote control to clear cache. 6.+Add,Remote control to clear cookies. 7.+Add,Remote control to clear local storage. 8.+Add,Remote control to clear all data(Cache,Cookies,Local Storage). 9.+Add,Remote control to toggle full screen mode. 10.+Add,Remote control to toggle keep awake. 12.! *Fix,Http server not reconnect after awake from background. 11.+Add,Disable cache *when the switch button is ON*. 11.! *Fix,Http server not reconnect after awake from background. 12.-Remove.Clear cache,clear localstorage,clear cookies on restart *when the switch button is ON*. 1.+Add,HTTP Server for remote control. 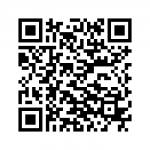 2.+Add,Remote control to load URL in MIHTool. 7. *Fix,Not update the source code by load a URL from history when preview editing source code issue. 8. *Fix,In HTML editor,page switch issue. 9. *Fix,User agent switch not save issue. 1.+Add,HTTP Server for remote control *when the switch button is ON*. 4.+Add,Keep Awake *when the switch button is ON*. 5.+Add,Clear cache,clear localstorage,clear cookies on restart *when the switch button is ON*. 2.+Add,View webpage generated source code. 3.+Add,HTML editor with syntax highlighting and formatting. 4.+Add,Edit source code with HTML editor and preview the result. 5.+Add,Create a new webpage with HTML editor and preview it. 2.+Add,More development tools(Firebug,YSlow,WhatFont,PageSpeed,GTmetrix,W3C Markup Validation Service…). 7.+Add,Auto load the last webpage on restart. 11.+Add,Clear History,clear cache,clear cookies, clear localstorage. 1.+ add Firebug web development tool for iPad version. 2. * url autofill with “http://” issue fixed.